888 – Odo, Count of Paris became King of the Franks. 1328 – Edward III of England married Philippa of Hainault, daughter of the Count of Hainault. 1435 – Sicut Dudum was promulgated by Pope Eugene IV about the enslaving of black natives in Canary Islands by Spanish Natives. 1547 – Henry Howard, Earl of Surrey was sentenced to death. 1605 The play Eastward Hoe by Ben Jonson, George Chapman, and John Marston was performed, landing two of the authors in prison. 1607 The Bank of Genoa failed after announcement of national bankruptcy in Spain. 1610 Galileo Galilei discovered Ganymede, 4th moon of Jupiter. 1785 John Walter published the first issue of the Daily Universal Register(later renamed The Times). 1822 The design of the Greek flag was adopted by the First National Assembly at Epidaurus. 1830 The Great fire of New Orleans, Louisiana began. 1842 Dr. William Brydon, a surgeon in the British Army during the First Anglo-Afghan War, was the sole survivor of an army of 16,500 when he reached the safety of a garrison in Jalalabad. 1847 The Treaty of Cahuenga ended the Mexican-American War in California. 1885 Alfred Fuller, Canadian businessman, The “Fuller Brush Man”, was born (d. 1973). 1890 Thomas William Murphy or ‘Torpedo Billy’, became the first New Zealander to win a world title in professional boxing. 1890 – Jüri Uluots, Estonian journalist, lawyer, and politician, 7th Prime Minister of Estonia, was born (d. 1945). 1893 The Independent Labour Party of the UK had its first meeting. 1893 – U.S. Marines landed in Honolulu from the U.S.S. Boston to prevent the queen from abrogating the Bayonet Constitution. 1898 Emile Zola’s J’accuse exposed the Dreyfus affair. 1911 Sir Joh Bjelke-Petersen, NZ- born Premier of Queensland, was born (d. 2005). 1915 An earthquake in Avezzano, Italy killed 29,800. 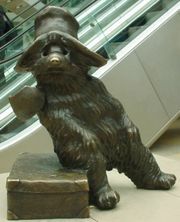 1926 Michael Bond, British writer, was born. 1937 – Guy Dodson, New Zealand-English biochemist and academic, was born (d. 2012). 1937 George Reisman – US economist and author was born. 1939 The Black Friday bush fires burnt 20,000 square kilometres of land in Australia, claiming the lives of 71 people. 1942 Carol Cleveland, English actress and only significant female performer in Monty Python’s Flying Circus, was born. 1942 Henry Ford patented a plastic automobile, which was 30% lighter than a regular car. 1942 First use of aircraft ejection seat by a German test pilot in aHeinkel He 280 jet fighter. 1953 Marshal Josip Broz Tito was chosen as President of Yugoslavia. 1958 Moroccan Liberation Army ambushed Spanish patrol in the Battle of Edchera. 1964 Hindu–Muslim rioting broke out in Calcutta – now Kolkata – resulting in the deaths of more than 100 people. 1964 Karol Wojtyla, the future Pope John Paul II, was appointed archbishop of Krakow, Poland. 1966 Robert C. Weaver became the first African American Cabinet member by being appointed United States Secretary of Housing and Urban Development. 1968 Johnny Cash performed live at Folsom Prison. 1970 Shonda Rhimes, American screenwriter/creator Grey’s Anatomy, was born. 1985 – A passenger train plunged into a ravine in Ethiopia, killing 428 in the worst rail disaster in Africa. 1990 L. Douglas Wilder became the first elected African American governor when he took office in Richmond, Virginia. 1992 – Japan apologised for forcing Korean women into sexual slavery (Comfort women) during World War II. 1993 Space Shuttle programme: Endeavour headed for space for the third time as STS-54 launched from the Kennedy Space Center. 2001 An earthquake in El Salvador, killed more than 800. 2012 – The passenger cruise ship Costa Concordia sank off the coast of Italy, resulting in 32 deaths (and a few people still missing) amongst the 4232 passengers and crew. 2012 – The opening ceremony of the Winter Youth Olympics took place in Innsbruck, Austria. 1985 A passenger train plunged into a ravine at Ethiopia, killing 428 in the worst rail disaster in Africa. 1990 L. Douglas Wilder became the first elected African Americangovernor when he took office in Richmond, Virginia. 1785 John Walter published the first issue of the Daily Universal Register (later renamed The Times). 1911 Sir Joh Bjelke-Petersen, NZ- born Premier of Queensland, was born. 1942 First use of aircraft ejection seat by a German test pilot in a Heinkel He 280 jet fighter. 1911 Sir Joh Bjelke-Petersen, Premier of Queensland, was born.